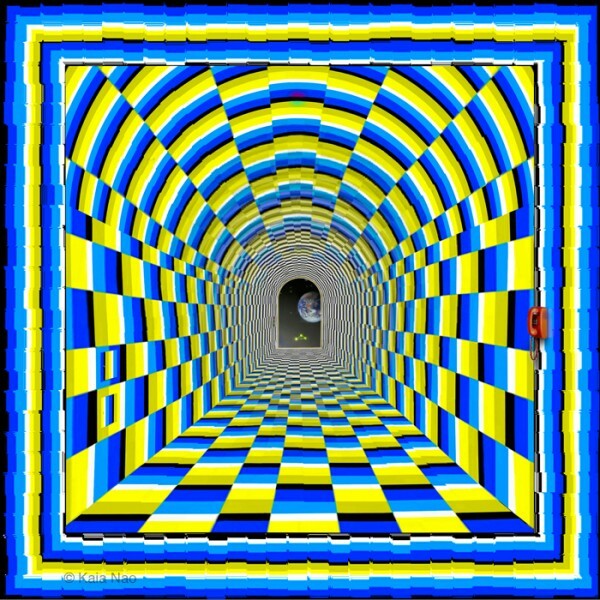 As you look down this tunnel designed by optical artist Kaia Nao, does it appear to be moving? Does the back of the tunnel seem to be moving toward you? This image is completely static and not animated in any way. It might seem hard to believe, but it is true! 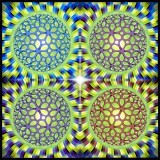 This doesn’t even look like it’s moving. For some people, the motion illusions simply do not work. 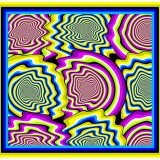 A majority of people will see this image moving. 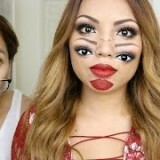 Some people see so much motion that they can even start to feel sick or dizzy when looking at them. Whoa! Did I take the wrong meds AGAIN?